The Republican presidential contender should cut all ties to Paul LePage, who has out-Trumped Trump by engaging in crude racial stereotyping. When does an endorsement go bad? When does a supporter become so foul that a candidate cannot accept the support any longer? New Jersey Governor Chris Christie faces that question now. Christie does not have a lot of major endorsements for his presidential run. But he has gained traction in the first primary state of New Hampshire—where every recent poll has had him in double digits and his backers argue that he could yet emerge as the strongest alternative to the hot mess of demagoguery that is Donald Trump. In fact, there is a case to be made that, from a northeastern base, the governor could yet emerge as a (relatively) mainstream alternative to Trump and the extreme-right candidacy of Texas Senator Ted Cruz. Now, however, Christie has a demagoguery problem. Yes, the Garden State governor is known for his sometimes abusive language. But this demagoguery problem involves a supporter—arguably, Christie’s most prominent supporter. 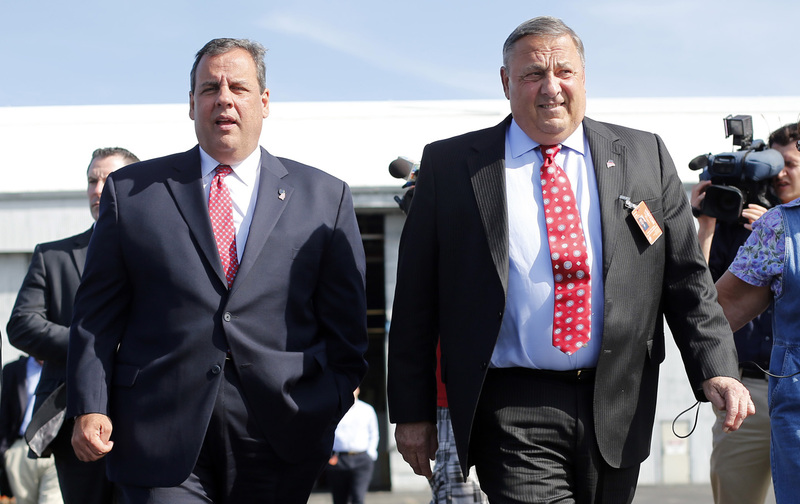 Maine Governor Paul LePage is a big Christie backer. Maine is an important state for Christie, who hopes to run well in the March 5 Republican caucuses there. A strong showing in New Hampshire and wins in states such as Maine could muscle up Christie’s claim that he has broader appeal than Trump or Cruz. That strategy relies on LePage, a Tea Party favorite who has twice been elected in Maine. But LePage comes with baggage. He’s a crude, reckless, and racially insensitive blowhard who makes Trump sound responsible. Will Christie continue to accept the support of LePage, whose history of racially-charged and sexist comments is long and well-documented? Or will Christie try to run against Trump while embracing a politician whose rhetoric is frequently uglier than Trump’s? Responsible Republicans in Maine have called LePage out. “This is one of the most offensive statements yet from this Governor,” argues Lance Dutson, a former aide to Republican Senator Susan Collins. Fried’s point is well taken. And that leaves Chris Christie in a difficult spot. A presidential candidate cannot be held responsible for every word said by every one of his or her supporters. But overtly racist remarks by a candidate’s most prominent supporters must be rejected. If Christie wants to be taken seriously as an alternative to Trump, he should start by rejecting Paul LePage’s comments—and Paul LePage’s endorsement.